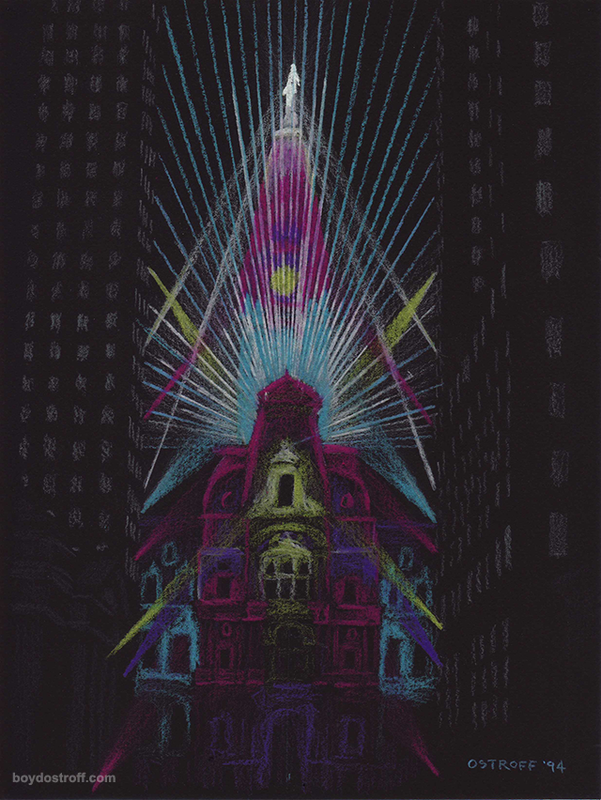 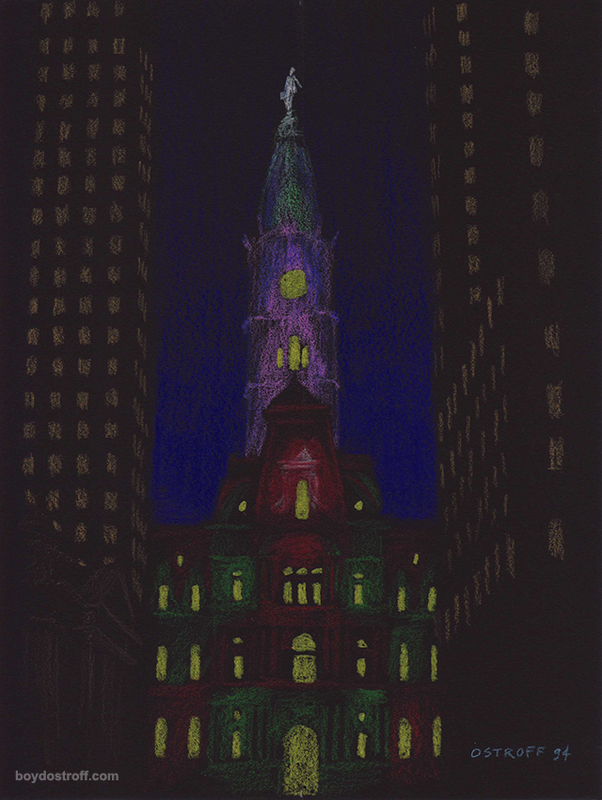 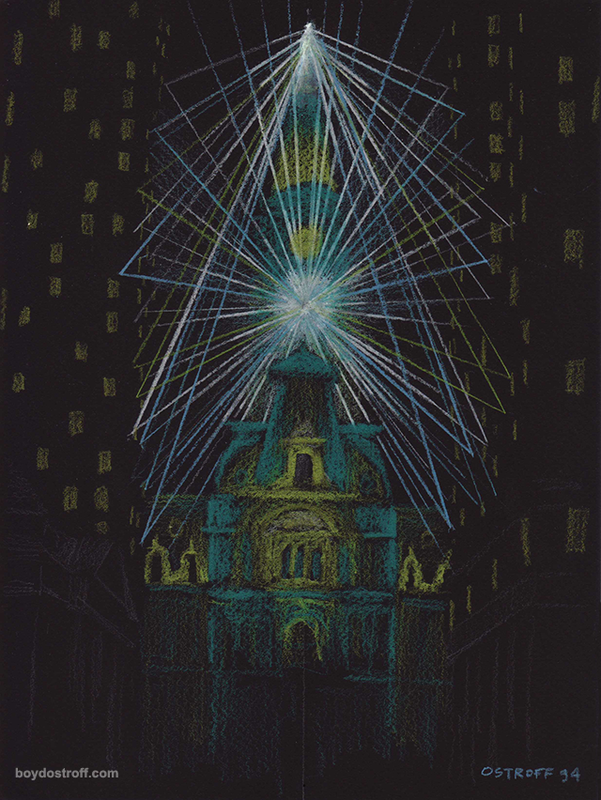 Preliminary sketches for a Son et lumière to be presented on the South face of Philadelphia City Hall, conceived by legendary city planner Edmund Bacon. 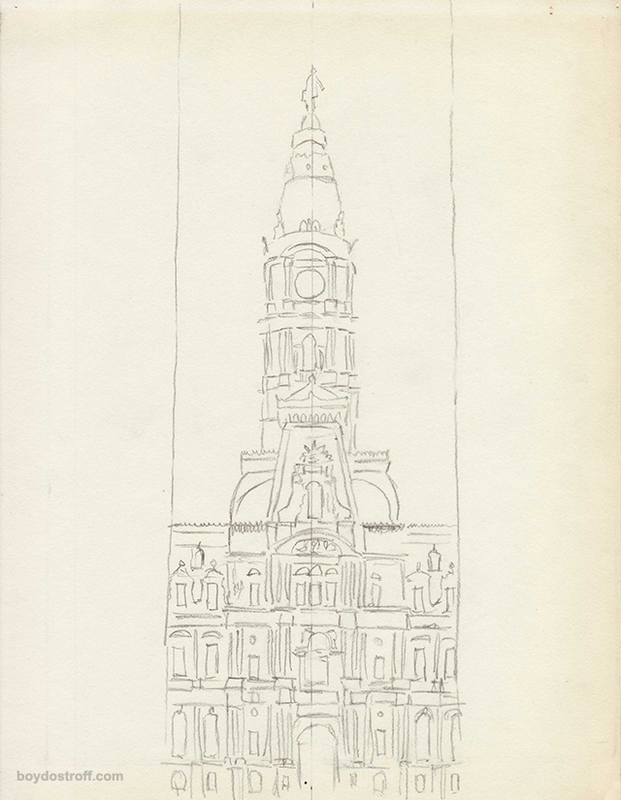 Unfortunately, this project was never completed. 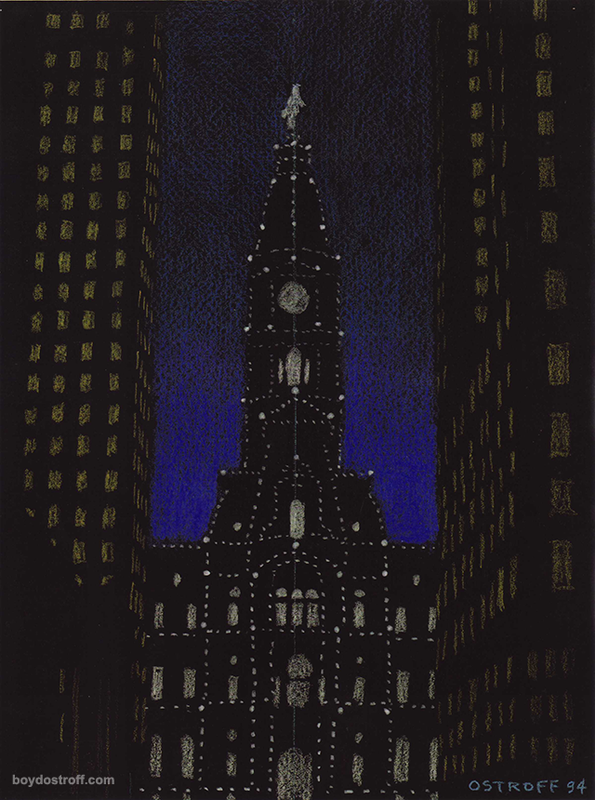 Original sketches from the Spring of 1994 in Prismacolor on black charcoal paper, 8.5″ x 11″. 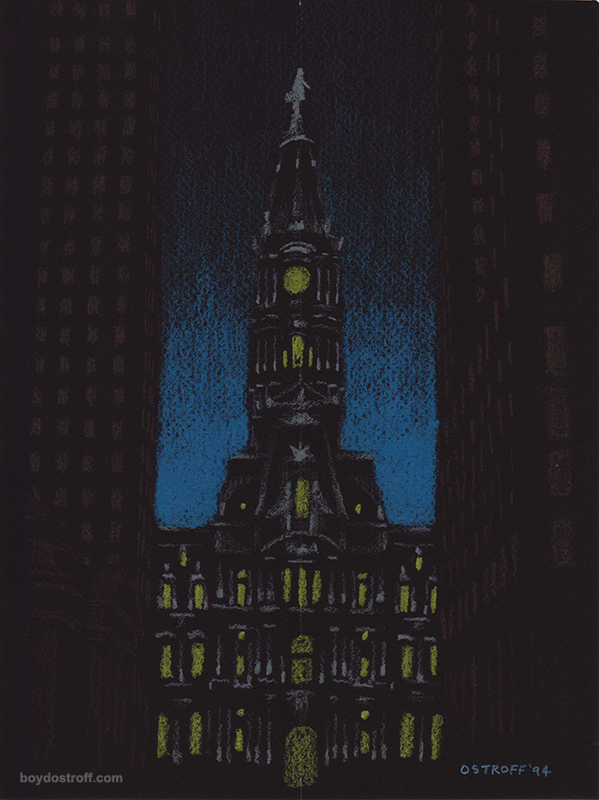 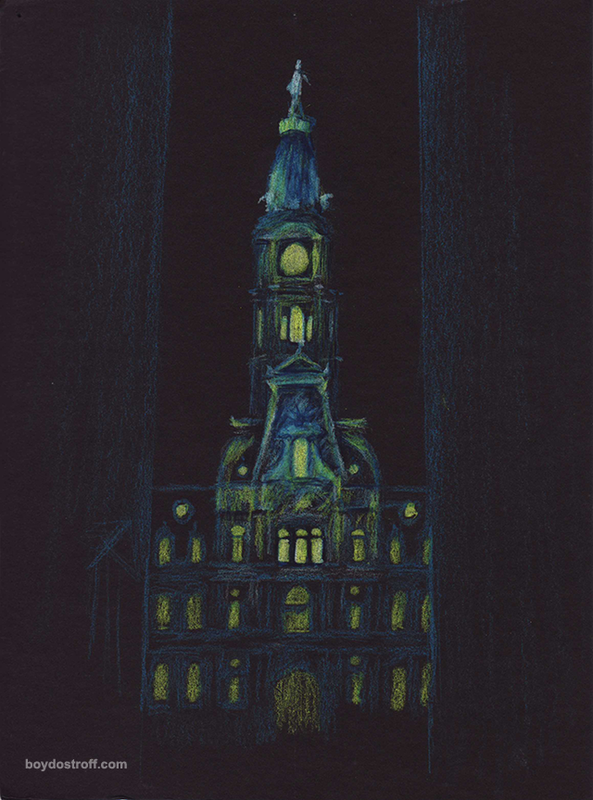 First pencil sketch of city hall. 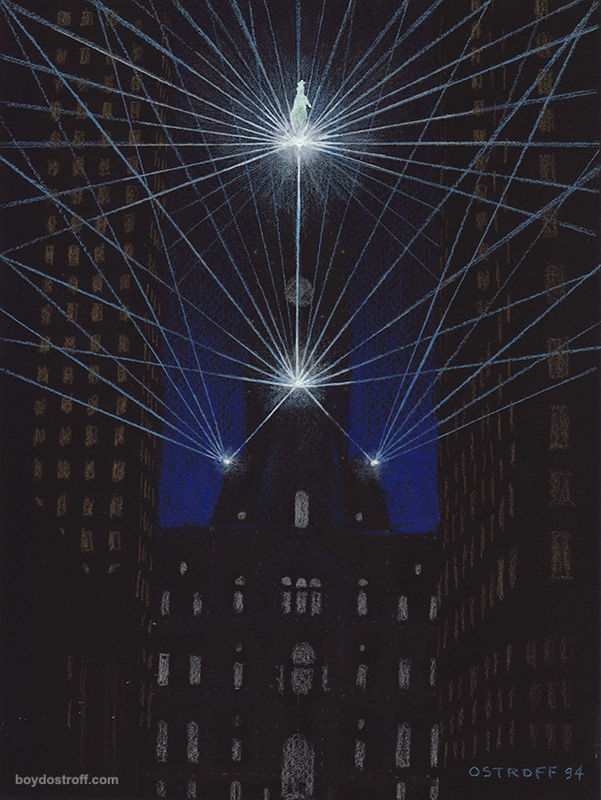 Although funding was not secured to realize this project, in the summer of 1995 Patrick Dewane obtained a $10,000 grant to purchase computer hardware and software for photorealistic 3d modelling. 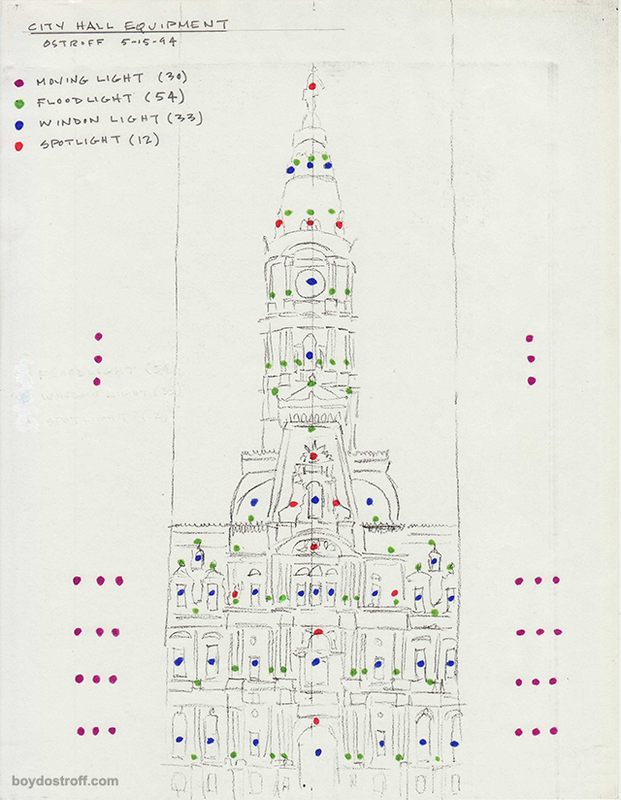 This system was used to create a digital model of City Hall and simulate the lighting effects, which began my transition to a digital opera design workflow that was first used for Madama Butterfly in 1996. 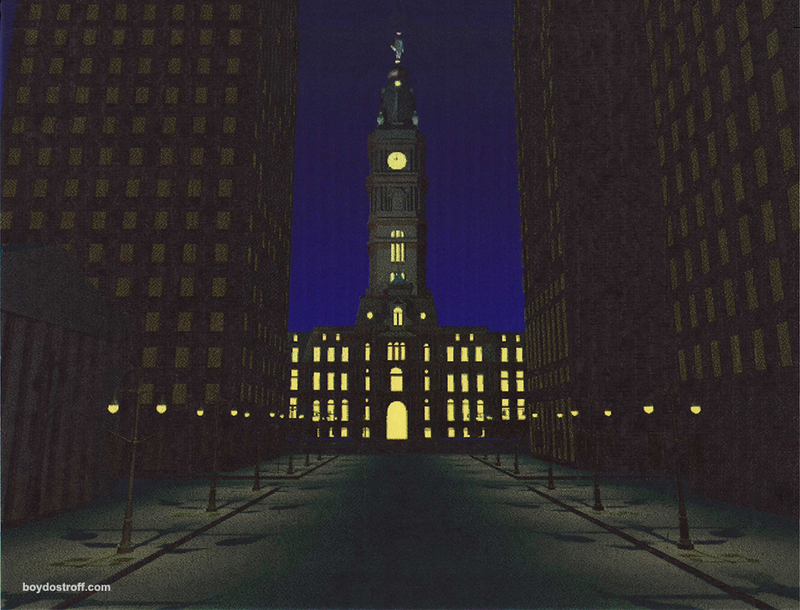 The image below is all that remains of the city hall digital model, it was scanned from a 1995 inkjet printout.